Welcome to Red Cedar Zen. Now that you’ve been coming a while you might be curious about what’s next. Here are a few options. As you read this document please remember that the intention of this practice is to support our lives as we engage a complex world with an often challenging mind. We hope your practice at Red Cedar supports your growth in peacefulness, resilience, and understanding and we encourage you to discover what works best for you. Please read on for the following suggestions: just sit, go to retreats and take classes, help out and learn with volunteer practice positions, knowing who the senior students and teachers are, go to dokusan and practice discussion, take up mentorship, consider taking Jukai at some point, and entering into formal teacher-student relationships. Simply coming to Red Cedar regularly to sit down in silence with the other sangha members is a powerful and complete option. In our school of practice we have a deep trust that simply making space in the structured and supported way the zendo provides supports the natural opening of the heart and clarifying of the mind. Over time you will naturally learn and start to embody the Zen Forms as well. Either way, it is enough to just sit. We offer an array of retreats and classes every year. Note that for Red Cedar Zen members classes are no charge and retreats are heavily discounted. You will be invited to give a separate dana (generosity) donation directly to the teacher. See the website and bulletin boards for upcoming events. Our most challenging and rewarding retreats are the multi-day silent meditation retreats called sesshin (“meeting the heart-mind”). These are offered in early March (3 days), mid-June (7 days), mid-September (5 days at Seattle Soto Zen), and early December (4 days). At sesshin we maintain silence, get up early and spend the day alternating sitting and walking meditation with work period, healthy vegetarian meals, Dharma talks, private interviews with the teachers, and rest periods. It’s an immersive experience of practice in community. See the Events page for what's upcoming. In Zen we see our actions as just as central to the practice as zazen (seated meditation). By volunteering to care of the sangha and the building you enter more fully into the “mandala” of practice. There is much to learn from interacting with each other and from watching our minds as we take on even simple tasks like cleaning and shopping. Supported by our Clear Communication Guidelines (see the important document on this) we also see interpersonal challenges as potentially beneficial for our path towards greater awareness and kindness. Some of these volunteer “Practice Positions” include the performance of ritual actions – such as being the doan who rings the bells during our services. There can be deep opportunities in taking on these positions for learning about our minds, hearts, and patterns. Further: a fuller engagement with the ritual life of the community can support us in our healing in many ways. Zen is more than seated meditation: it’s a rich “ecosystem” of ritual movement, sound, and interaction in community. Examples of volunteer Service Positions include being the Shopper, serving on an ongoing workgroup like the Membership Workgroup or Website & Technology Workshop, or joining the pool of members who sign up to help with the Doan-ryo: timing zazen, ringing bells, and leading chants. On the website under the “Business” header there is a page for “Volunteers” which gives some of the options and it’s helpful if you initiate: ask Senior Students what the sangha needs help with. Also: once you've received the training there is an online sign-up sheet for the doan-ryo positions. When you look around the zendo during practice you’ll see that everyone wears dark subdued clothing with shoulders and knees covers and a minimum of distracting writing or graphics. Some may be wearing practice robes. Some may be wearing Zen ritual clothing. There are two types of Zen ritual clothing: the bib-like rakusu and a larger rectangular robe that drapes over one shoulder called an okesa. The color is significant too. 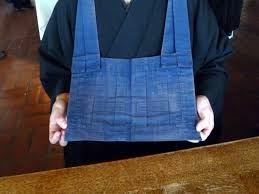 People wearing a dark blue rakusu have received the precepts in the Jukai Ceremony and are lay practitioners. Those with a black rakusu are novice priests having completed priest ordination but not yet Dharma Transmission. Those with a brown rakusu are fully ordained priests who have completed Dharma Transmission. And those with a green rakusu are lay teachers who have practiced for many years and received Lay Entrustment. The over-the-shoulder okesa robe is worn by our ordained members during formal practice. These priests have made a lifetime commitment to keep practice front and center in their lives. The priests’ okesa follow the same color coding as their rakusu: black for priests-in-training and brown is for fully ordained, dharma transmitted priests. Thus there are three overlapping categories of formally authorized practitioners: Senior Students, Priests, and Teachers. Senior Students: experienced lay and ordained members who have also been shuso, head student for a practice period. Being shuso is an important period of teacher empowerment. Senior Students guide students as Mentors under the supervision of our Guiding Teacher. However, Senior Students do not have a special marking or different color on their rakusu. Priests: we are blessed with several ordained members. 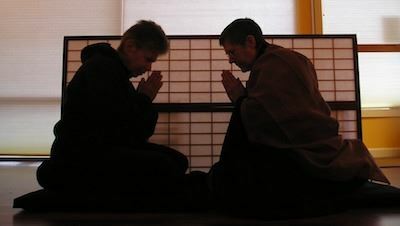 Making the lifetime commitment of ordaining as a priest empowers a Zen practitioner to enter into a powerful archetype of “holding the dharma” in a formal way. Priests can officiate in our services and also perform rites of passage rituals like weddings, blessing ceremonies, and funerals. After their initial ordination (black okesa and rakusu) priests continue to train for 10 years or more before undergoing Dharma Transmission (and then wearing brown okesa and rakusu). Not all priests become formal Dharma Teachers but many do. Teachers: Zen teachers can be ordained priests or lay people. Teachers have completed formal rituals of transmission and empowerment with their teacher. For priests this is the ceremony of Dharma Transmission and for lay teachers it is Lay Entrustment. Further, our Guiding Teacher has received additional empowerment by his teacher to serve in this position and has been formally invited to take this leadership and teaching role by the sangha. Sometimes “teachers” is used as a general term to refer to both the formally designated Teachers and the Senior Students collectively. Dokusan (独参) and Practice Discussion are private meetings with the Senior Students and Teachers at Red Cedar Zen. These meetings are offered during most zazen meetings at Red Cedar and can also be arranged for other times. All members and guests are welcome to request an interview. Interviews are a practice of authentic meeting. They are an opportunity to discuss your meditation practice and how it applies to your daily life. It is fine to bring up a problem or question, describe your practice, or simply sign up and see what arises in the conversation. You do not have to be profound or“zen.” Just be yourself. We do not hold the idea that a Zen teacher can see inside your soul and offer profound advice. Rather we see private interview as a powerful opportunity for student and teacher to bring up the Dharma together as it’s unfolding in your life. We do this in the interview room with curiosity, discernment, and respect. An interview is an opportunity to see what arises and this exploration is often valuable. Of the two types of private interview dokusan is more formal and is offered only by fully transmitted ordained Zen teachers. At Red Cedar, dokusan is offered frequently by Guiding Teacher Nomon Tim Burnett and also by Ryūshin Andrea Thach. Dokusan is also a central part of our sesshin (silent meditation retreats). Our Founding Teacher Zoketsu Norman Fischer offers dokusan extensively when he is present for sesshin. Practice Discussion has a more side-by-side feeling of entering the room together with a Senior Student to discuss your practice. Practice Discussion is offered by our Senior Students who have served as Head Student (shuso) during the Winter Practice Period and are teaching under the supervision of Guiding Teacher Nomon Tim Burnett. Confidentiality: Dokusan and Practice Discussion are private and confidential within limits. The limit to confidentiality is when the individual expresses intention to harm self or other or says that harm or self-harm is likely with another member of our Sangha. If a Teacher or Senior Student needs to consult with the Guiding Teacher, or with his or her peers, about a private interview they will ask the student for permission before sharing your identity or the contents of your conversation whenever possible. While dokusan and practice discussion are optional we do recommend this practice strongly. For an ongoing committed student of Zen, meeting with a teacher every month or two is a helpful guideline. It’s common to have many questions about meditation, Buddhist practice, and how to bring this into your life. Working with a mentor is a great way to explore these questions. Mentorship is an opportunity to meet regularly with a Senior Student at Red Cedar Zen for a period of weeks to months to explore questions around meditation, Buddhist texts, applying practice to daily life, or other topics of interest. The available Mentors are Senior Students who have been invited to be Mentors by our Guiding Teacher. Our Senior Students are teachers-under-supervision who have been practicing for many years and have completed a number of steps to deepen their practice of meditation and understanding of Buddhism. These steps include going through Jukai, being shuso during a practice period and ongoing training with each other and with Guiding Teacher Nomon Tim Burnett. See the “Who are the Teachers here?” section for more on who the available Mentors are at Red Cedar. Any member of Red Cedar Zen Community can request meetings with a mentor, either by asking the mentor directly, or meeting with our Guiding Teacher, Nomon Tim Burnett, to request a mentorship recommendation. The schedule and format for these meetings with a mentor are flexible and decided by the mentor and mentee together. Any conversation you have with a mentor is confidential with some limitations (see section on confidentiality under Dokusan & Practice Discussion). These meetings can at the zendo, during zazen as Practice Discussion, or at other locations and times. 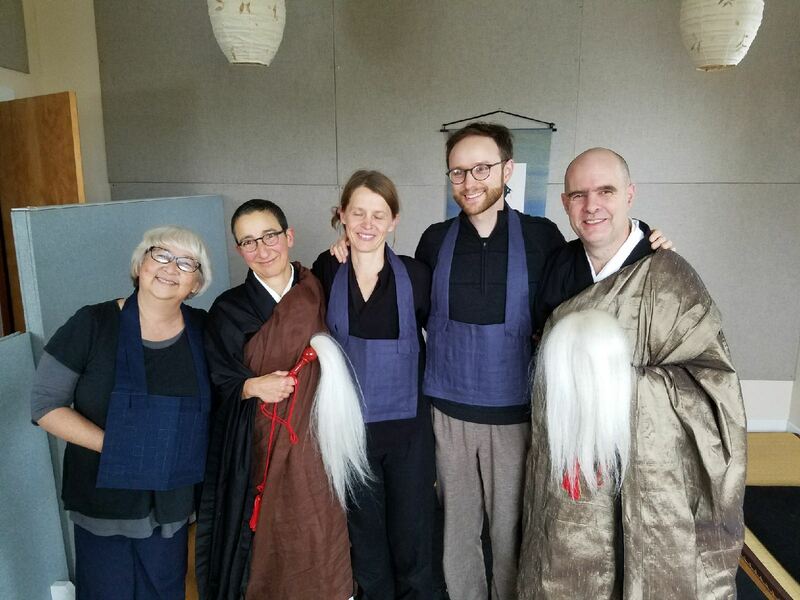 We encourage members to take advantage of the opportunity to meet with Senior Students to discuss your practice and learn about the Sōtō Zen tradition. The practice of Mentorship is also beneficial for the training and growth of our Senior Students, so please don’t hesitate to ask! The mentorship relationships are not permanent student-teacher relationships. Typically, we encourage mentorship to pause for a reassessment or close after a maximum of 6 months to give you time to digest and also to learn from other Red Cedar teachers and senior students. 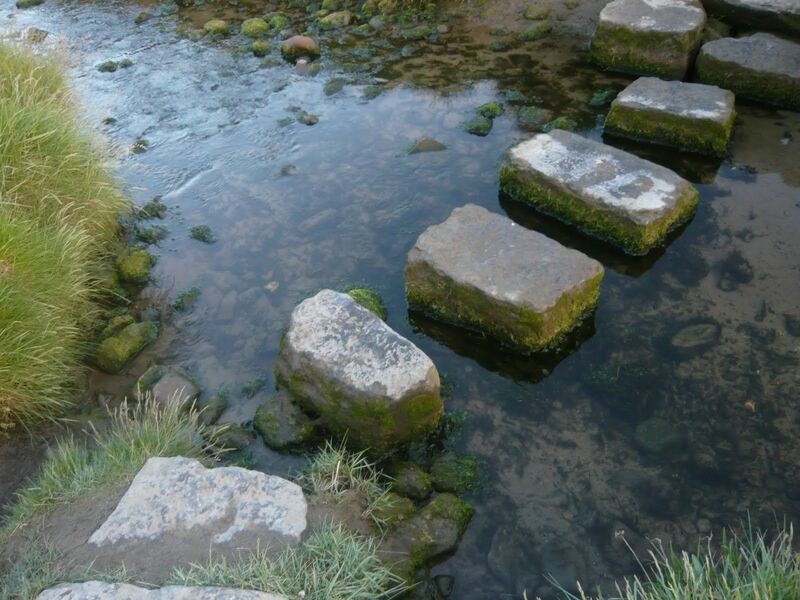 Our Zen Practice, like all of Buddhism, is deeply rooted in ethical practice. All Zen students are encouraged to learn about, and practice with, the Bodhisattva Precepts of Soto Zen. Making a formal commitment to practice the precepts within the context of sangha life is done in the ceremony of Jukai (literally “receiving precepts”). The Jukai process further includes the establishment of a formal relationship to the Sōtō Zen lineage through the included ritual of Zaike Tokudo (translated as “lay ordination” or “attaining the way, staying at home”). At the Jukai ceremony you: (1) make a commitment in front of the sangha to live within the guidelines of the 16 Bodhisattva Precepts, (2) receive a Buddhist name and lineage papers from the teacher officiating at the ceremony – known as your Preceptor*, and (3) receive the bib-like rakusu which symbolizes this commitment to precepts and lineage and is worn during Zen practice. Precept study and preparation for Jukai is done both individually with a Senior Student or Teacher and in a small group with the other students who are preparing for Jukai that year (the “Jukai cohort”). Typically, you meet monthly with both your individual guiding Senior Student or Teacher and with the cohort group. Together we study key books on the Zen Precepts, explore the meaning and relevance of each precept in your life and share with each other our intentions, strengths, and limitations in our engagement with a more aware and ethical way of life. Jukai students also sew their own rakusu – a powerful and interesting practice in itself. Red Cedar Zen Community’s sewing teacher, Shudō Chris Burkhart offers a series of sewing retreats and meetings each year to facilitate this. At Red Cedar we offer the Jukai ceremony annually in early November. Formal preparation begins each year right after Practice Period (which ends in early March). If you request precepts later in the year you will probably be asked to wait for the next cohort to begin. If you have been practicing at Red Cedar for at least two to three years and are interested in deepening your practice in this way, please speak with any Senior Student or Teacher. If you are unsure where to start, speaking with Guiding Teacher Nomon Tim Burnett can be a good first step. If you begin the conversation before the end of our annual Winter Practice Period (early March) you might be included in that year’s Jukai study cohort. The teachers will let you know how to proceed. Important note about Jukai: Please know that doing special rituals like Jukai and wearing special clothing like the rakusu and robes is not required at Red Cedar Zen. We seek to offer these traditional steps in training in a way that supports everyone and these rituals are not right for everyone. Many Zen students benefit from a deep life-long practice of Zen without taking any of these formal steps. Discuss with a teacher to explore how this might be for you. *Note about Preceptors: There are currently two Preceptors at Red Cedar Zen: Nomon Tim Burnett and Ryūshin Andrea Thach. Tim serves as our primary Preceptor and officially gives the precepts to most members. Andrea serves as Preceptor for students working closely with her. More details about the Zen Precepts and Jukai are available here. 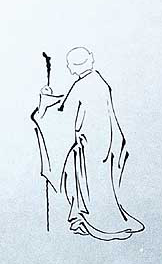 Interested in becoming a Zen Priest at some point, click here for an essay on this from Founding Teacher Norman Fischer. After Jukai you may choose to request a more formal student-teacher relationship. In our sangha we do not narrowly define what a formal student-teacher relationship looks like. And before making a formal request it’s good to let student-teacher relationships evolve over time through practicing together, exploring your practice in dokusan and practice discussion, mentorship, and through the process of Jukai. If you feel a deep affinity for a Teacher at Red Cedar Zen we invite you to explore with that Teacher how you’d like to practice together. It’s can be deeply supportive to ask a Teacher if they would be your teacher in a formal way (usually done in dokusan), but this is not required. If you don’t feel a particular affinity for any one teacher at Red Cedar, that’s fine too. We learn from everyone in the sangha. In a very real way we are all students and we are all teachers for each other. A formal student-teacher relationship is formed only with fully empowered Teachers, not with Senior Students. Study with Senior Students through practice discussion, mentorship, and ongoing practice. Doan-ryo---The doan (bell ringing) work group. This term encompasses the doan, tenken, and kokyo, and is coordinated by the Ino. Doan---Bell ringer for services and ceremonies. Kokyo---Chant leader for services and ceremonies. Jukai---A Japanese term meaning “receiving the precepts.” A student spends about 1 year studying the precepts with a teacher and usually a group of other students, sews a rakusu and goes through a ceremony committing to Buddhist practice. Usually requires a minimum of 3 years of practice prior to the ceremony and permission from a teacher. Rakusu-----A rectangular piece of fabric composed of patches sewn together and worn around the neck. The rakusu represents the larger priest robe called okesa which is worn over one shoulder. The rakusu is sewn by the sudent and then conferred upon one who is taking Buddhist vows during Jukai ceremony. Shusho-----A Japanese term meaning “head student.” During a 2-3 month practice period, the shuso teaches a class, gives talks and in other ways leads the practice period which ends with a ceremony. Being shusho gives to the sangha (group of people who practice together) and deepens the shusho's practice as well. Priest Ordination (Tokudo)-----Priests undergo a long training period (10 years) learning rituals, studying Buddhist texts, spending time in a monastery, sewing their robes and working closely with their teacher before going through the ordination ceremony and making the commitment to the priesthood. Dharma Transmission (Shiho)-----at the conclusion of a Priest’s training they undergo a special ritual transmission with their teacher empowering them to give precepts, lead a sangha independently, and conduct other rituals. Dharma Transmission is said to “complete” their priest training. Lay Entrustment-----A term used to describe students who have been through jukai, been shusho and have had additional training from their teacher and been given permission to teach, but have not ordained as priests. Takes 10-15 years of practice and training and permission from a dharma transmitted teacher. Senior Student---a sangha member who has been Shuso and undergone additional training to be eligible to ask as a Mentor. Teacher---narrowly our Teachers are ordained members who have completed Dharma Transmission and wear brown rakusu and okesa and our most senior lay members who have completed Lay Entrustment and wear a green rakusu. But sometimes the word “teachers” is used to include both our Senior Students and our ordained and lay Teachers.